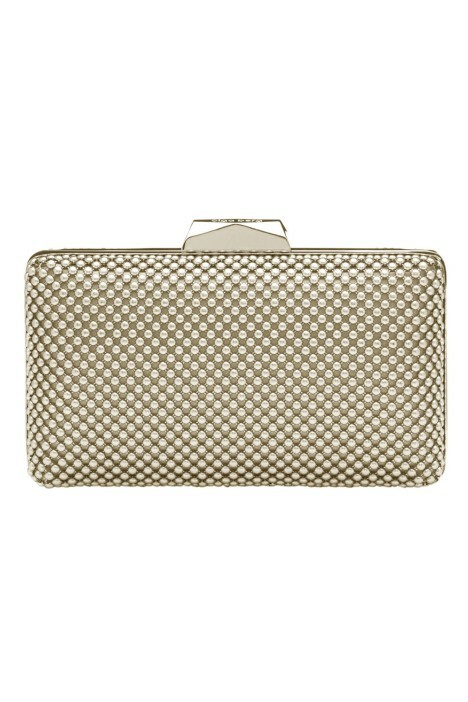 Rent this show-stopping bright gold clutch by Olga Berg. Crafted out of detailed ball mesh with a satin lining, it’s the perfect way to add some metallic to your look. Hinged with a signature facetted lock closure, it is a perfect rounded rectangle shape that will fit all your cocktail party essentials! Style this clutch with matching gold jewellery, or add a little dimension with rose gold accents. Add a pop of colour to a little black dress or complement a warm pastel tone. Read our blog post for more tips on colour coordinating accessories.